Welcome to MyWeb: our online ordering portal customised to your needs. 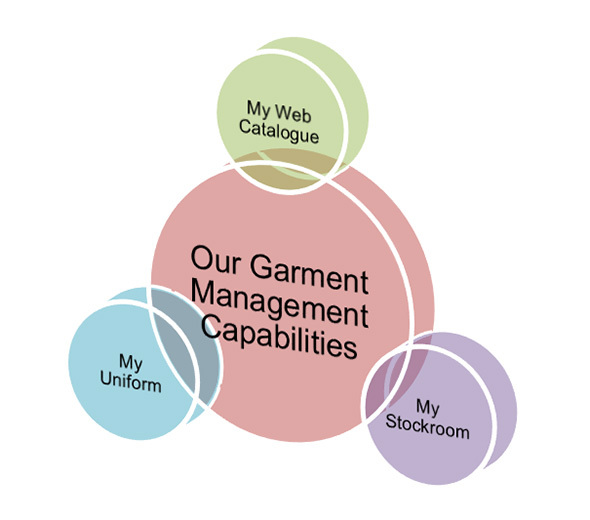 MyWeb is our easy to use workear & PPE management system that takes the effort out of ordering and maintaining stock levels. The ability to show only approved products as selected by yourselves. The facility to restrict colours and types of garments with company logos to those chosen by yourselves. This helps to maintain consistency of your corporate image. Full visibility of stock levels of your chosen products or as required by yourselves. Budget controls, restricting order values to those set by you. Orders above budget level can be authorised if required by senior management. Authorisation approval can be selected for all orders or as required. Product quantity, value, or points based budgetary controls are available. Full order history and reporting available to you 24/7. Issuing of garments to operative are logged against the employee name. Plus all the standard things that websites normally offer. The ability to order uniform for all your employees by name on this unique website. This ordering can be delegated to supervisors of departments or indeed employees themselves if desired. Restrictions of amounts of uniform that can be ordered by product per employee over a specified period of time. Individual logins either for each employee to place their order for uniform, or for supervisors to order on their behalf. All uniform arrives to your delivery location packed and labelled by employee name. Stock levels in your on-site storeroom are monitored with pre-set minimum stock levels, providing a replenishment facility which automatically generates orders in the MyWeb Catalogue area.